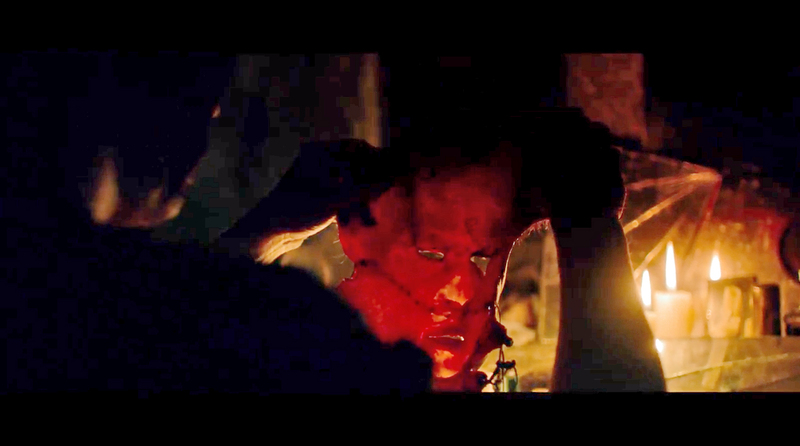 The trailer for Leatherface is here - and it looks like it’s going to be a hell of a ride. Fancy some gut-wrenching horror? Of COURSE you do. It’s summer, so what could be better than some hot and sweaty gruesomeness from the Lone Star state of Texas? Well, get ready. Leatherface is the prequel to 2013’2 Texas Chain Saw 3D, which took the classic 1974 indie horror and gave it hefty going over with extra blood. Lots of it. The film features the “back story” of the titular psychopath, who is known for wearing a mask of human skin and having a meaningful relationship with heavy duty power tools. Years before the events of the Texas Chain Saw Massacre, the youngest child of the rural Sawyer family is sent to a mental hospital after a “suspicious” incident that winds up with the daughter of the local sheriff being killed. Ten years later, young Sawyer and three other inmates head out on the run, having kidnapped a nurse. The aforementioned sheriff, now slightly deranged and played by Stephen Dorff, is on his trail, leading to a hellish road trip that results in the birth of the monster that became Leatherface. The film stars Jessica Madsen, Sam Coleman, Sam Strike, James Bloor and Vanessa Grasse and gets a limited theatrical run in the US this October. A general UK release date hasn’t been confirmed yet, but the ever-popular celebration of grue, Frightfest, will premiere the movie in London on Friday 25 August.